In dropshipping, like in every other venture, those who are better prepared show the better results. In this article we’re going to outline 10 necessary things everyone should know before starting a dropshipping business! When you’re going to a trip abroad, isn’t it better to book a hotel in advance? Imagine arriving to a foreign country, trying to find a decent lodging, café to eat, etc. Aside from wasting time and energy, you might be overcharged, get food poisoning, or face other unnecessary problems. Not the best vacation, isn’t it? That’s why you need to sort out some things before setting out. It makes your journey pleasing and predictable. Similarly, mapping out your dropshipping journey could save your money and time, as well as ensure your success. Here are 10 necessary things that may help you draw up your business plan! Where would you rather buy sportswear? At a Nike store that is focused on selling it? Or at a store that sells, let’s say, light bulbs and pencil cases along with clothes? If you choose a narrow range of products for your online store, your chances to succeed in dropshipping increases significantly! Large-scale stores often lack the flexibility and customer-friendly attitude. You, in turn, can take the, on board and therefore, secure a huge competitive advantage! It’s hard to come up with a marketing strategy when you run a general store. For that, you need to know the websites and communities your potential clients visit. Something comes to you mind? Right, it could be anything. 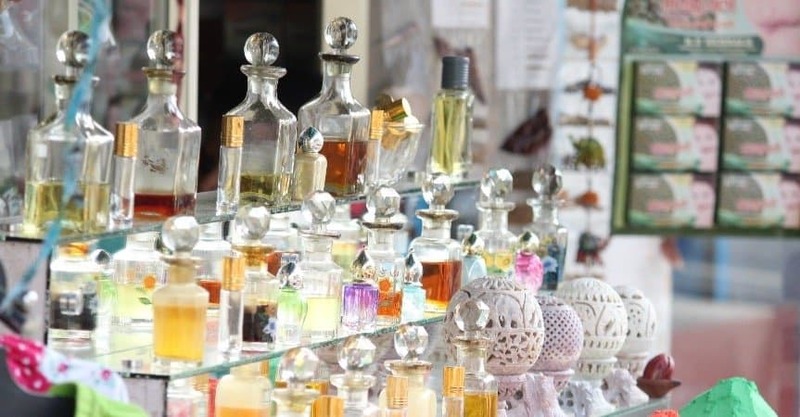 Narrowing down the range of products you sell lets you draw up a clear marketing plan. And marketing is vital in dropshipping business! We’re sure, you want people to easily come across your online store while shopping on the Internet. That means you should make your site and product pages SEO-friendly. This task is almost impossible in the case of general store. At the same time, taking a niche allows you to conveniently pick the necessary keywords and make your website come up on the top of Google search results. 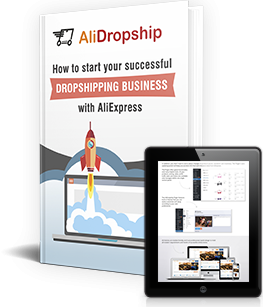 Most AliDropship clients choose to start a niche store rather than a general one. So, make a point of doing so! It’s true that dropshipping rids you of the tiring and complicated process of storing and shipping products. In other words, it makes running your business easy and quick. Yet, a wrong choice of products might turn it into a pain in your neck. Dealing with angry and disappointed customers is not the most pleasing thing in the world, is it? Of course, it seems tempting to sell products marked with a famous brand. People are eager to buy them. However, it will certainly blow up in your face. Such items are knock-offs. And that might mean serious legal problems for you. Not to mention that these actions might harm your reputation which will be difficult to claw back from. Nobody wants to get a ruined purchase, right? Due to a complex delivery process, there is a high risk of damaging items on their way to customers. Heavy items are not only hard to lift. They’re going to make the delivery process more difficult and expensive. Besides, their weight makes them easy to get damage during shipping. When you’re buying a PC at an offline store, you can easily check whether everything is normal. Your clients also expect to receive a fully functioning product. During online shopping, it is impossible to make sure the product is of a perfectly fine quality. So, it’s better to avoid the products that require a careful checkup before the purchase. If you want to learn how to pick the best products to dropship, please, read this article. Would you buy a slide projector? Here’s the thing: your products should be in demand! Otherwise, your business doesn’t make sense. 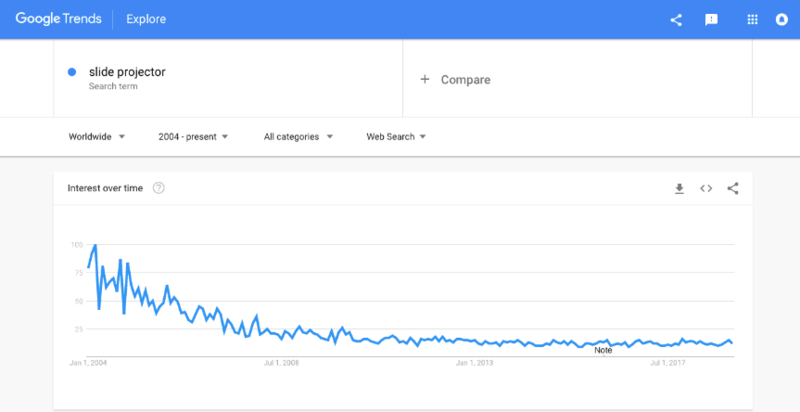 Fortunately, there is a free tool to research the market: Google Trends. Choose a product you’d like to sell, pick a time period, and the tool will show you how many people were googling this item or a related topic. You will be able to see all the ups and downs in products’ demand depending on the season, location, etc. Then it’s up to you to decide whether or not this product is worth adding to your online store. As you can see, slide projectors won’t bring you much money. At the same time, GPS trackers, for example, should do the trick. Your suppliers may either ruin your dropshipping business or help it take off. You, not the suppliers, will be in charge of solving problems and dealing with annoyed customers if something goes wrong with product quality or delivery. There could be dozens of suppliers selling the same type of items on AliExpress. However, you have to find the business partners you could actually lean on. You may be wondering how to pull it off. How to figure out whether a supplier is reliable or not? Stay calm, there is no rocket science! Now, you’re good to go. Examine the data, put it all together and make your choice. The best option is to choose one supplier who is focused on a narrow range of products that matches your niche. It will make your service brilliant. Imagine customers buying various items from your store and receiving them all together at the same time. Wouldn’t they be pleased? Before starting your dropshipping business, you need to choose a domain name for your website. Many beginners take it lightly. Meanwhile, it’s an essential part for your future success. A properly chosen domain name may take you to a higher position in Google search results and inspire customers’ trust. The right approach is choosing a domain based on your niche keywords. Yet, it shouldn’t contain a bunch of them, or it will not seem secure and reliable. In all likelihood, customers will avoid visiting such a website. On the other hand, your domain name should be quite short and roll off the tongue. This way, it will be easy for customers to memorize and use it. You need to consider both sides of the issue. Choose something in between! Keep it in mind that the most SEO-friendly and trustworthy domain names go with “.com”. It’s not easy to find such ones though. Go to GoDaddy.com and check if it’s available. Once you’ve chosen a domain, you can find a hosting provider to build your dropshipping store. Before building your website, you should make up your mind about an eCommerce platform you’re going to use. Most of these platforms charge their clients monthly fees. Apart from that, they keep entrepreneurs on a tight leash by limiting their ownership. For newcomers it may turn out to be the reason to back out. Luckily, there is a key to solving this problem. WordPress is a content management system (CMS) that lets you create a convenient and user-friendly website. It’s free and quite easy to use. Building a website on this platform doesn’t require deep knowledge of the subject – here, you can read more about it. 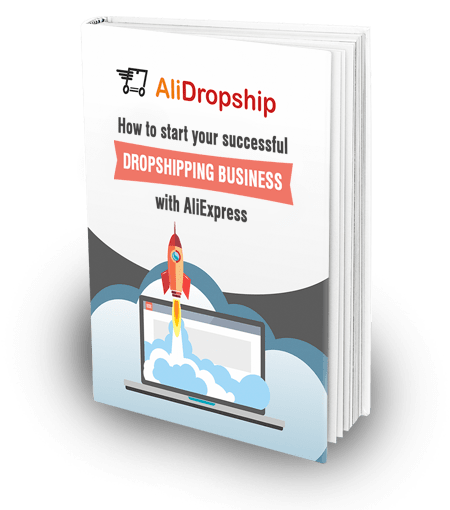 Then, you can use AliDropship plugin to easily convert a WordPress-based site into a fully functional dropshipping store. This tool was developed by the people having their own first-hand experience of managing a dropshipping business. So, they considered the interests of like-minded entrepreneurs and built a software that takes care of the most difficult tasks in this business. So, if you want to save your money and gain independence – you’re welcome to follow this advice! Trust is the most precious thing nowadays. Your customers need to be sure that they’re safe while buying from your store. Setting a secure payment gateways is crucial for that. Check if the gateway is accessible in your country and in the countries of your target audience residence. Compare the transaction fees. Of course, it’s tempting to choose the option with the lowest costs. But hold on! Take your time! There is something more to consider. Find out if the gateway has a multi-currency support. Don’t forget that you’re going to work with the international audience. Make sure your gateways accept all the major credit and debit cards (Visa, MasterCard, AmericanExpress, etc.). Don’t forget that your store should accept PayPal payments. Now, make your choice. We recommend you using Stripe and 2Checkout payment providers. You can learn more about the gateways supported by AliDropship plugin here. We’ve already mentioned SEO as an important part of building a successful online business. 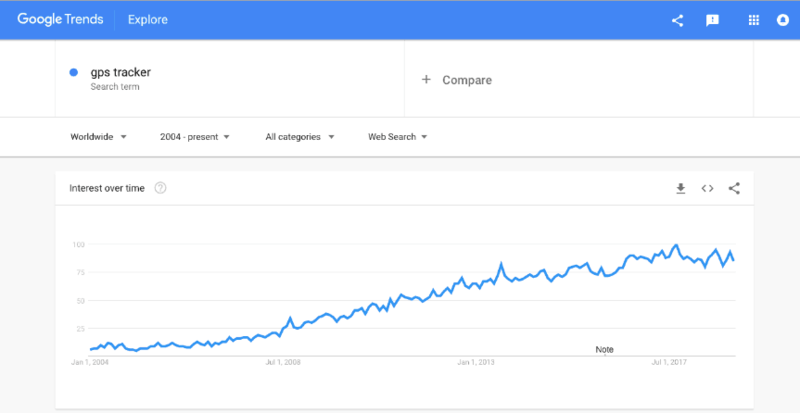 Yet, many entrepreneurs underestimate the role SEO plays in their success. Search engine optimization (SEO) remains the cheapest and the most efficient way to drive traffic to your online store. Thus, every eCommerce business’ owner should learn as much as possible about this promotional instrument. It’s natural that nowadays people turn to the Internet in search of the necessary information. Therefore, you need to optimize your site so that the customers could easily come across your store. Write appealing titles and descriptions to your product pages. And don’t forget to include the keywords in these texts. Fill your site with interesting content and you will bring in more customers! What do you do when you see a tempting offer to buy something on the Internet? Right! You start searching for the info about the seller and the real-life product quality. To be more precise, you start looking for the customer reviews. People trust people – the same consumers as they are. According to a research that took place in 2015, about 70% of customers check online reviews before buying something. The simplest way to check others’ feedback is to type the store name in Google search field and click on the search button. In the right part of the screen, there will be buyers’ reviews and even the store rating. Facebook and Trustpilot.com are two other popular sources that people use to learn about an online store reliability. Your reputation shouldn’t cast any doubts! Every time when the happy customers thank you for your service in an email, ask them to also leave their comments on some of the sources mentioned above. 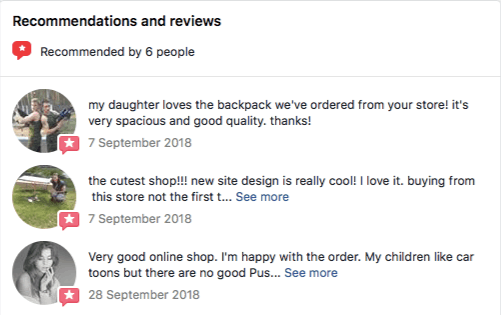 If somebody writes a negative review about your store, sort it out as soon as possible. Then, ask the client to remove or change the comment. Reply to every comment, no matter if it’s positive or negative. Your reputation drives your sales! Cherish and protect it! I know you imagine tons of money pouring in on the next day after the launch of your dropshipping store. I hope it will be so. But the real-life examples show that some time passes before your business starts bringing you profits. The most impatient entrepreneurs could even quit due to the delay. That’s a mistake. Before putting your dropshipping store into operation, you need to make sure that everything is OK. Your website design, product pages, descriptions, product images – everything – should be appealing, informative and of a good quality. If you have a few sales in the first several weeks, review your PPC campaigns. Maybe, you’re paying your attention to the countries that aren’t attractive for this business, and you should shift your focus a little. Maybe, you don’t have enough experience to step back and size up your online store properly. Probably, you can’t see and identify the weak points your site has. Thus, it’s reasonable to turn to the experienced dropshipping professionals. They have been running their own online stores for a long time. So, they will easily figure out your problems and offer you the ways to fix them. Now, you’re fully prepared to make your dreams come true. We hope this article will let you avoid the major problems dropshipping entrepreneurs face while starting their business. We are looking forward to your feedback and are always eager to reply! I’m already in trouble, I didn’t get enough information about drop shipping business and my friend didn’t help me much in this, I think he was just looking at the money he,was going to make from me. I set up an online store in october last year but I haven’t made an sale and am not sure if its up to standard. Is there way that you can help me? Cause I have been thinking of backing out of the business. I will be grateful for your help. Hello, feel free to send me the link to your site to yaroslav@alidropship.com. I will review your site.